Our Hollywood mirror compact helps you look perfect day or night. Use like a regular mirror, or switch on the powerful LED lights if you are in darker surroundings. Designed like a dressing room mirror, this fabulous compact will be the envy of your friends. 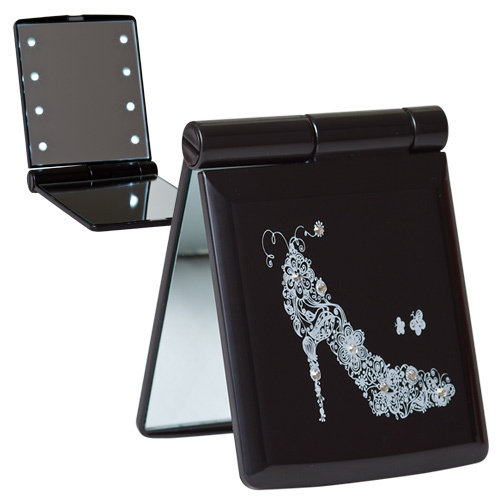 The black case has a pretty shoe design sprinkled with crystals. Two mirrors, one magnified. Gift boxed, including a black velvet pouch to slip the mirror into when not in use.